“Land Ho!” opens Friday at Sundance Cinemas. R, 1:36, three stars out of four. From a distance, we might think Mitch and Colin were pretty much the same sort of guy — white-haired men in their 60s who have lived the same sort of lives and think the same sorts of things. But we quickly learn that they are completely different animals, and that’s part of the joke and the message of “Land Ho!,” an utterly endearing comedy from Aaron Katz and Martha Stephens. We shouldn’t pigeonhole these old guys, and neither should they sell themselves short. Colin (Paul Eenhoorn of “This is Martin Bonner”) is a soft-spoken Australian who has just separated from his second wife, and is in a bit of a funk. Meanwhile, Mitch (newcomer Earl Lynn Nelson) is a good-‘ol-boy Kentucky doctor with a fondness for women, marijuana and dirty jokes. When he serves up dinner for Colin, he says the meal tastes like “angels pissin’ on your tongue.” Yum? Mitch and Colin are also family — at one time they were each married to sisters, which makes them now ex-brother-in-law. 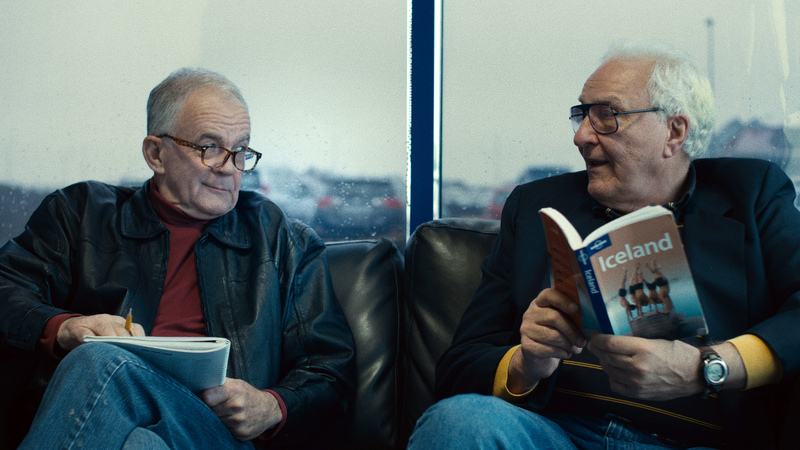 The overbearing Mitch decides what Colin needs is a change of scenery, so he books the pair on two first-class tickets to Iceland. Why Iceland? Why not? Traveling a stunning Icelandic landscape with an ‘80s synth-pop soundtrack (the use of “In a Big Country” is positively glorious), the two men are a hilarious odd couple, Mitch affectionately ribbing his more reserved traveling partner every step of the way. They spend a (platonic) night with two younger women, take a trip to a hot springs and a geyser, and end up lost in the dark with only a pair of rave-party glow sticks to light their way. 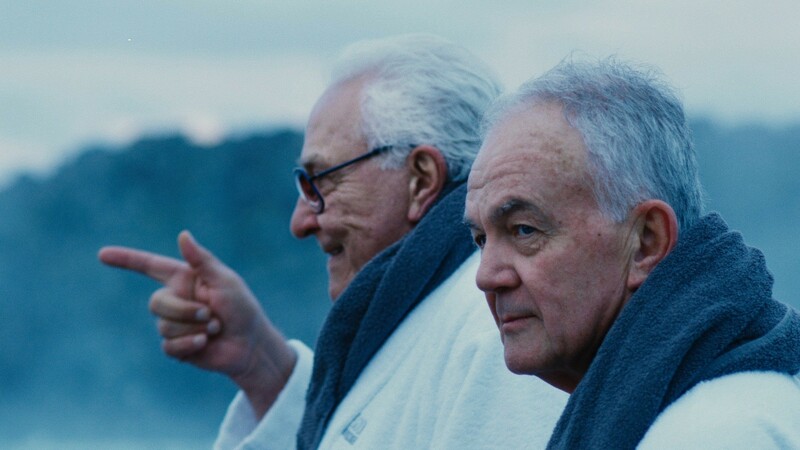 When I reviewed “Land Ho!” at the Sundance Film Festival, I paired it with “Trip to Italy,” another movie about two male friends exploring a strange land and discussing their own mortality. “Italy” is flat-out funnier (Eenhoorn can’t do impressions worth a damn, although he gamely tries), but “Land Ho!” is still a hoot, and goes a little deeper into the lives of these guys. Turns out Mitch isn’t so much traveling to Iceland as fleeing a bad situation back home. Eenhoorn and Nelson’s acting styles are completely different — Eenhoorn is a terrific actor who does small, understated things that draw you closer, while Nelson is a big bulldog of a presence, his voice like an R-rated foghorn in the night. They make an unlikely but very lovable pair together. In the end, “Land Ho!” is a high-spirited and life-affirming film about enjoying life. “Don’t get that Sunday afternoon attitude,” Mitch admonishes Colin near the end of the trip. “It ain’t over with yet.” There’s a life lesson there.